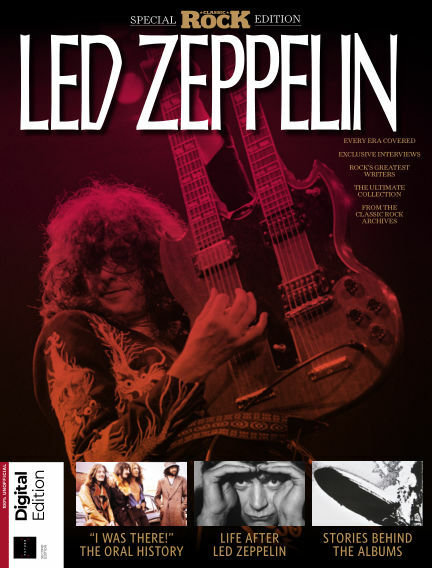 In this issue of Classic Rock Special : Led Zeppelin: The Classic Rock Special Edition collects classic stories from the magazine’s 20 year history in one collectable bookazine. With inside access to the making of the band’s classic albums, an oral history of Led Zep by their friends, celebrity fans and insiders, interviews with the band, a look at life after Led Zeppelin – and the tracks you should own. From Led Zeppelin 1 to the reunion gig, it’s everything you need to know about rock’s greatest band. With Readly you can read Classic Rock Special (issue Led Zeppelin) and thousands of other magazines on your tablet and smartphone. Get access to all with just one subscription. New releases and back issues – all included.